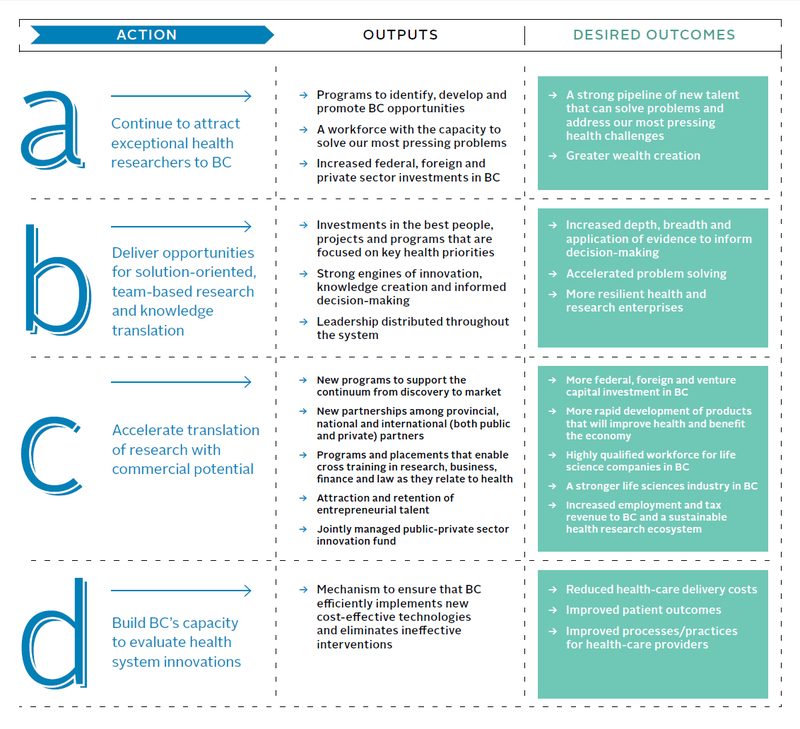 Starting in 2001, BC’s health research enterprise demonstrated its ability to “rise to the challenge.” By making strategic investments in building capacity, we overturned the decline in national funding and surpassed the per capita funding level for BC. Given the challenges and trends in our environment, it is time to reinvigorate our efforts to attract the best researchers and lead the country in new methods and strategies for solving population and health system challenges. If we want to strengthen our life sciences industry and, in turn, our economy, we need to move research discoveries through the translation and commercialization phases.